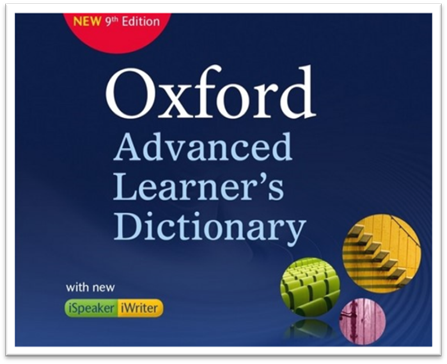 Improve your English language skills with the Oxford Advanced Learner’s Dictionary. Understand what words mean. Learn how to say them. Know how to use them. The Oxford Advanced Learner’s Dictionary (OALD) is a world best-seller. It is now available as an app, with the full A-Z dictionary and real voice (not text to speech) audio. It has been developed by the same editors from Oxford University Press who created the printed dictionary, working together with Paragon Software, a leading software developer for mobile devices. Learn more with a dictionary that’s written for learners of English: • 184,500 words, phrases and meanings explained clearly • Easy-to-understand explanations written using the 3000-word defining vocabulary • Use the Oxford 3000 keyword entries to learn the most important words in English • Look up over 57,000 synonyms and opposites • Learn words in their natural context with over 83,000 collocations (words that go together) highlighted • Find the Academic Word List words easily – they are all labelled • Notes give extra help in difficult areas, for example the differences between similar words, tricky points of grammar, or British and American usage • Find information about British and American culture • 1000 new words and meanings keep you up-to-date with today’s vocabulary and usage • 1300 words illustrated in groups build your topic vocabulary. You can enlarge and explore the illustrations. • Access over 95,000 extra example sentences • Study all verb forms, and word origins.